At the intersection of Flatbush Avenue, Fourth Avenue, and Atlantic Avenue, Times Plaza is a bustling meeting point of three corridors. Times Plaza was expanded in asphalt following the development of Barclays Center and is now slated to be redesigned to create an enhanced, permanent public space. 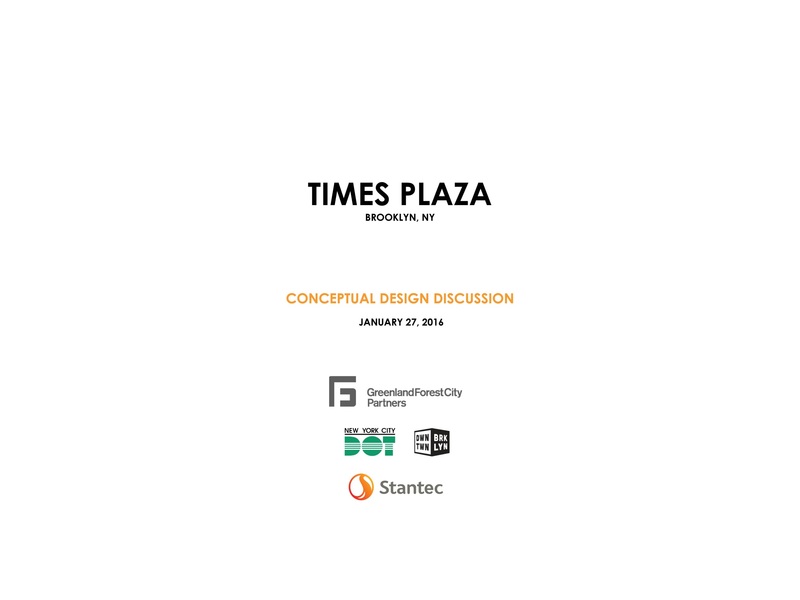 DOT, Greenland Forest City, and Stantec presented a preliminary plan to the public on Wednesday, 1/27/16, and will incorporate feedback received before presenting to Community Board 2.